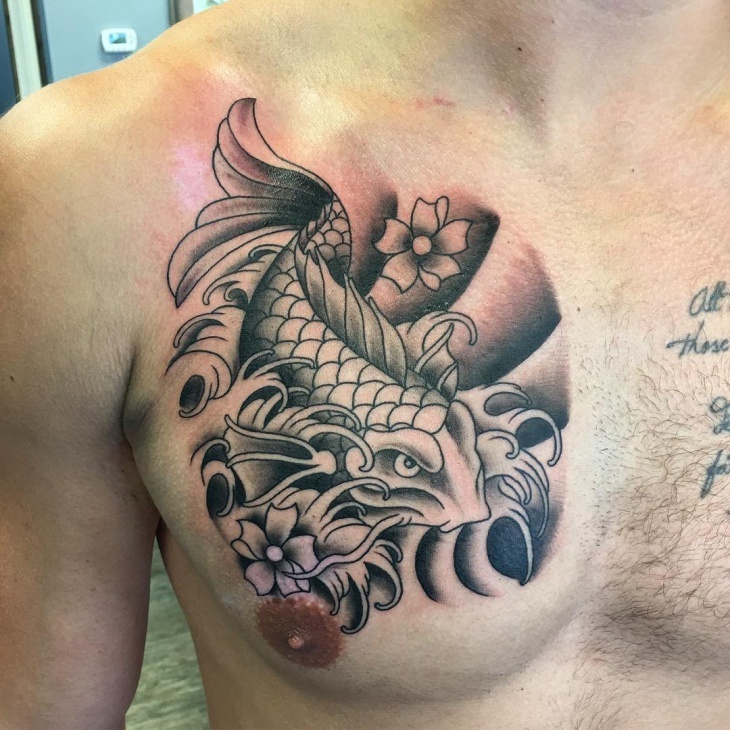 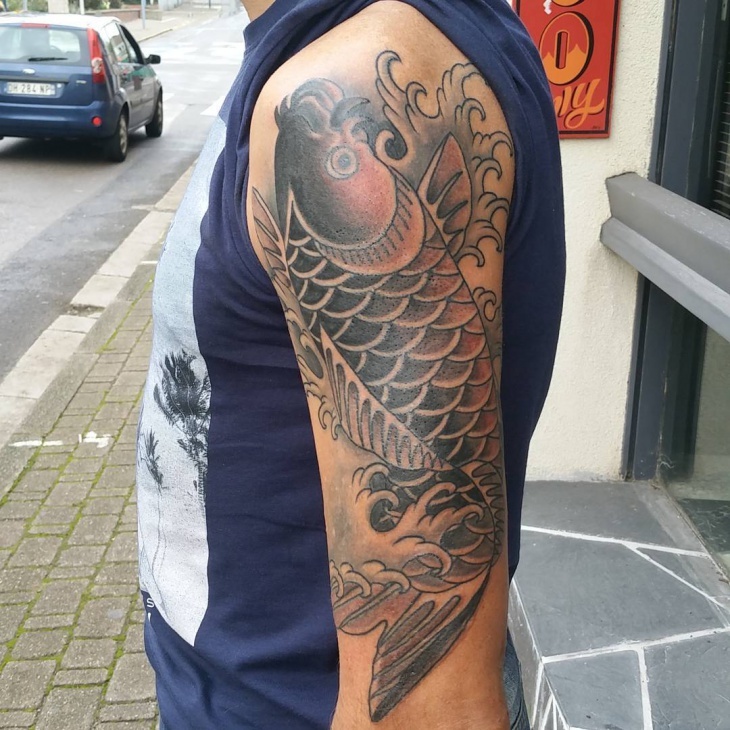 Japanese Koi Fish tattoo designs are a symbol of love and masculinity. 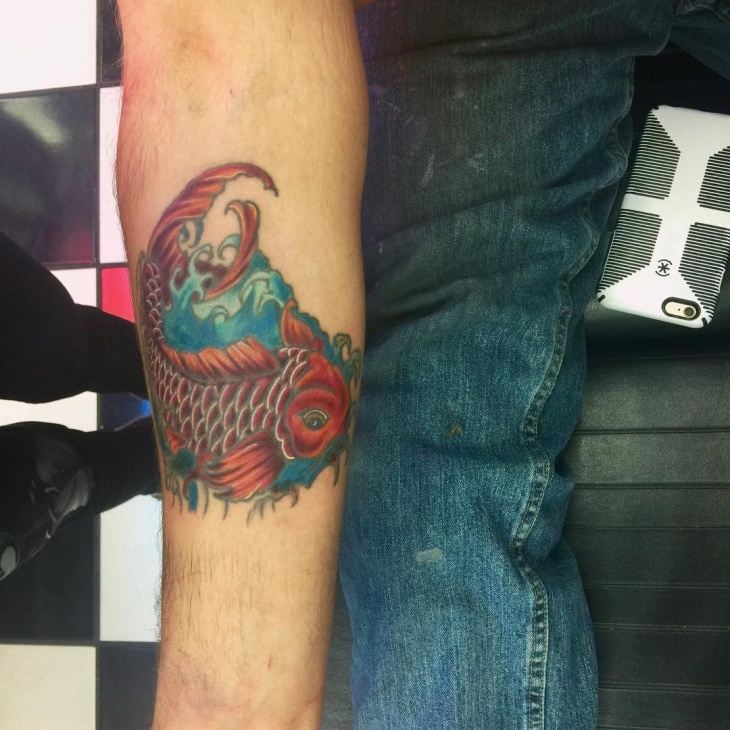 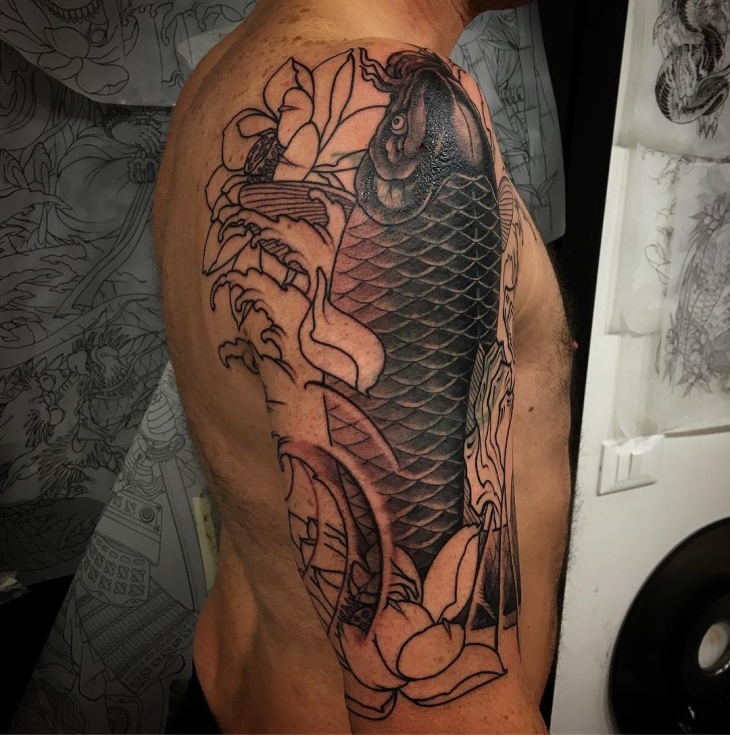 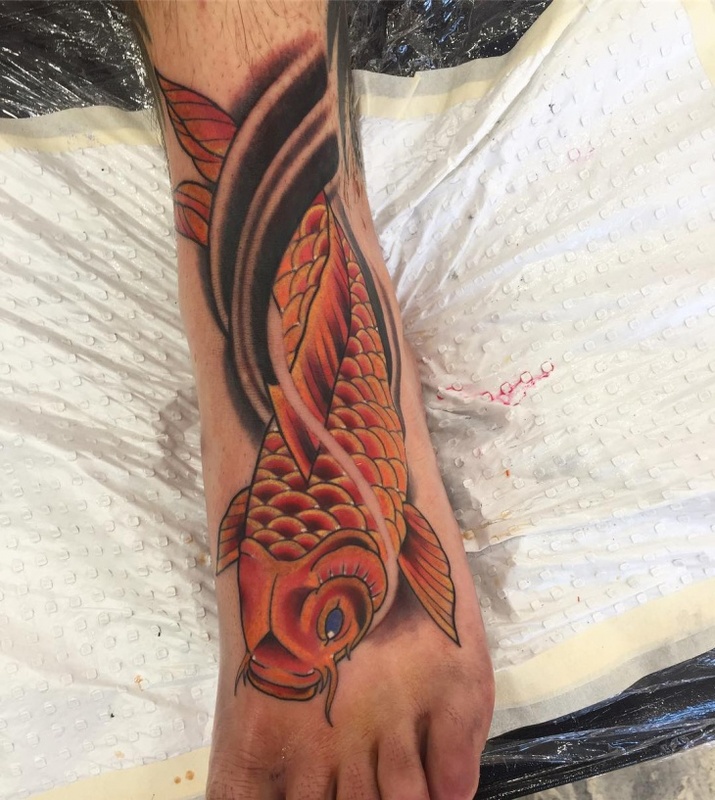 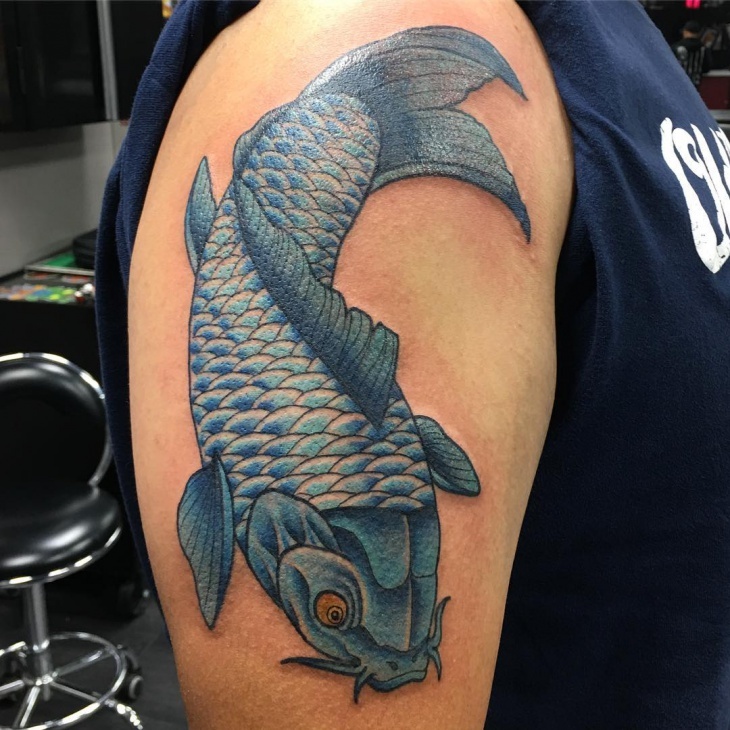 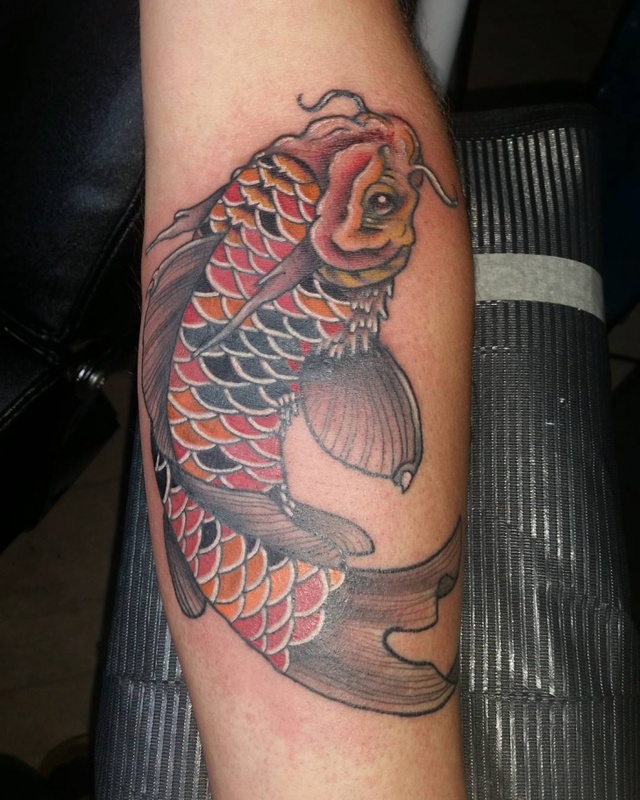 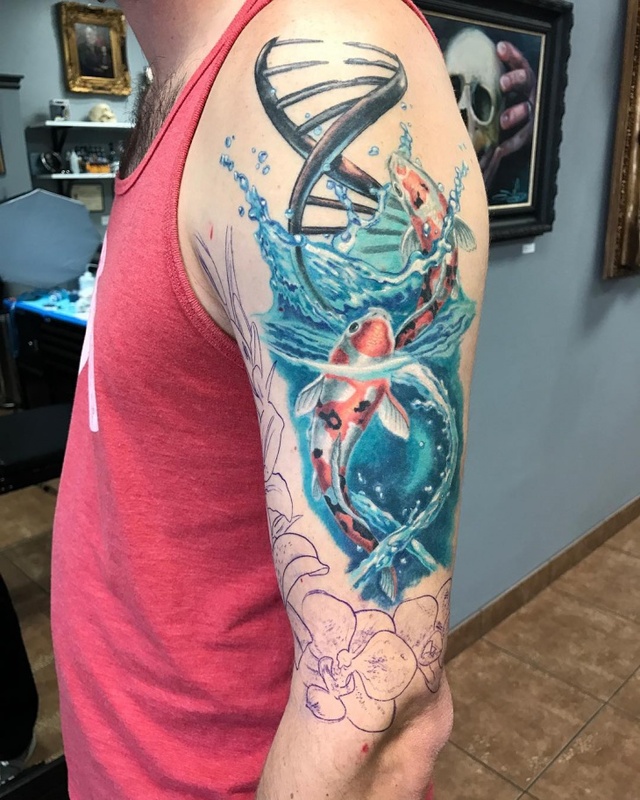 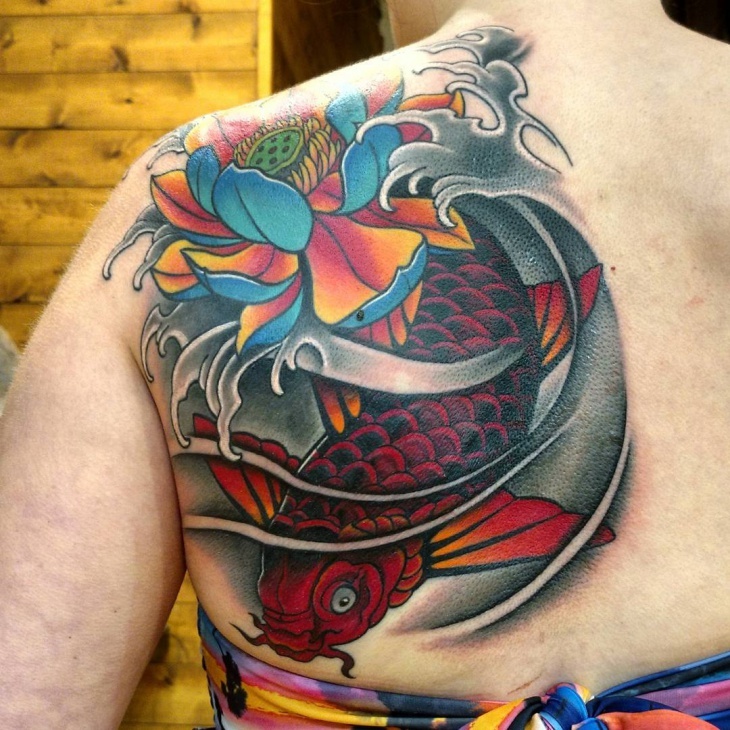 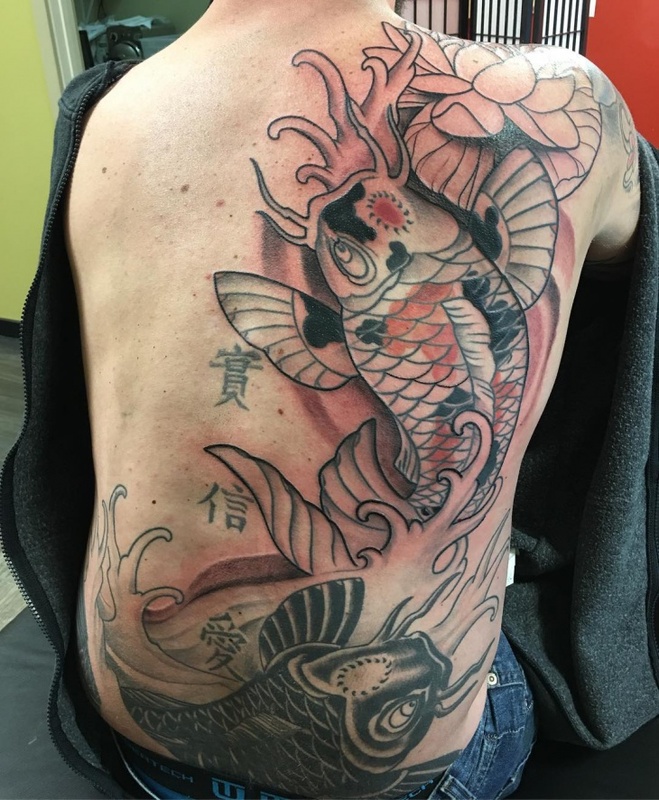 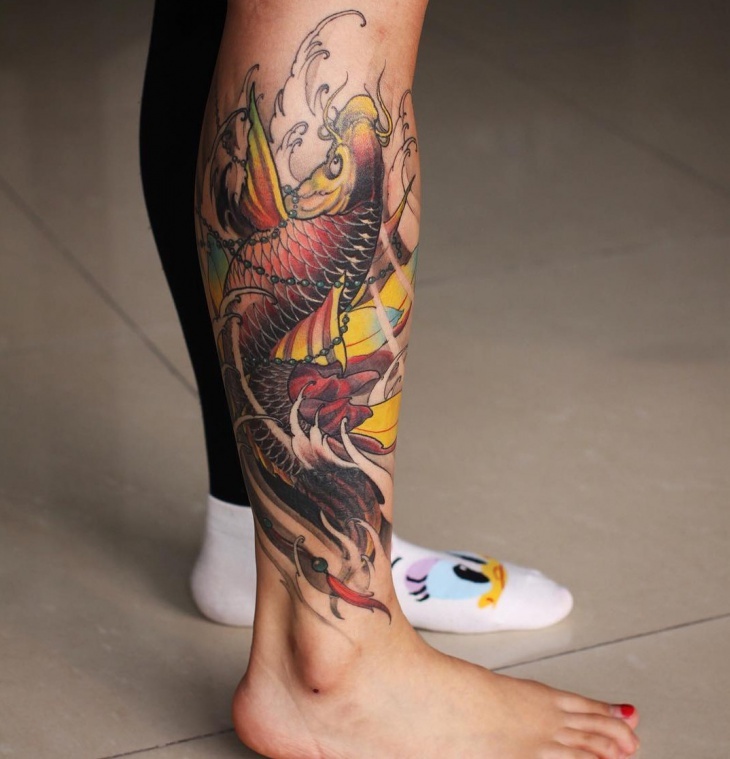 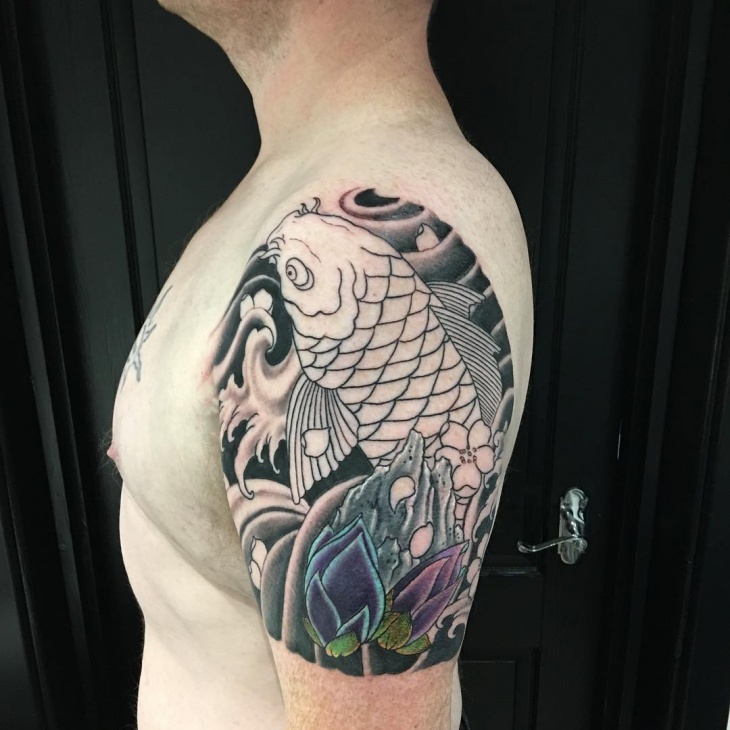 They are considered to be extremely energetic as koi fish tattoo designs are usually done in lively colors and plenty of natural movement. 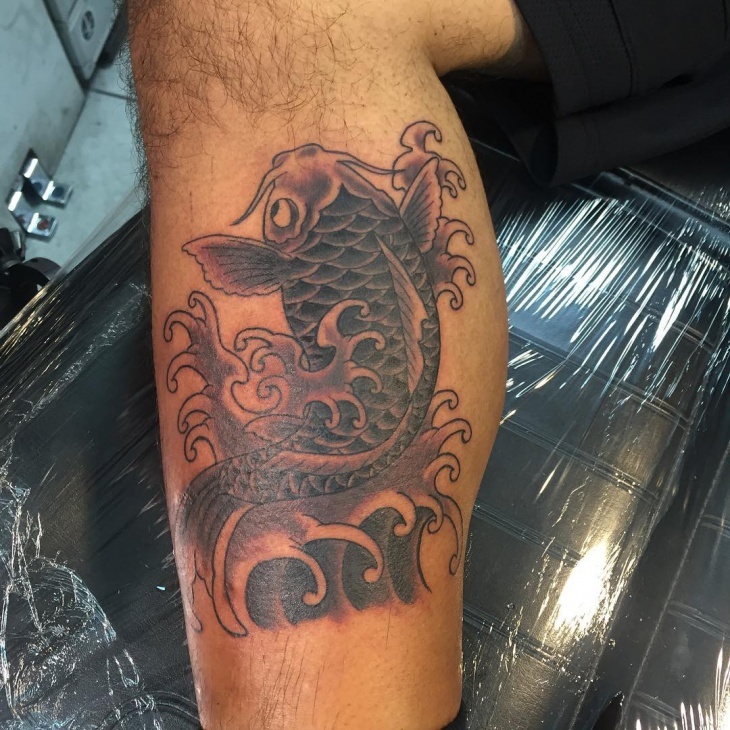 The koi fish tattoos depict the animal swimming upstream as it represents strength during difficult times. 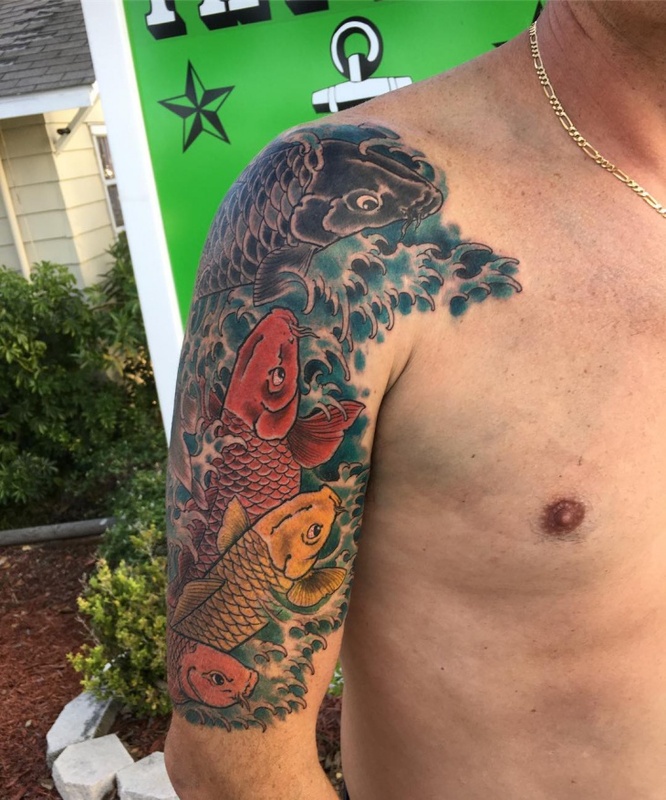 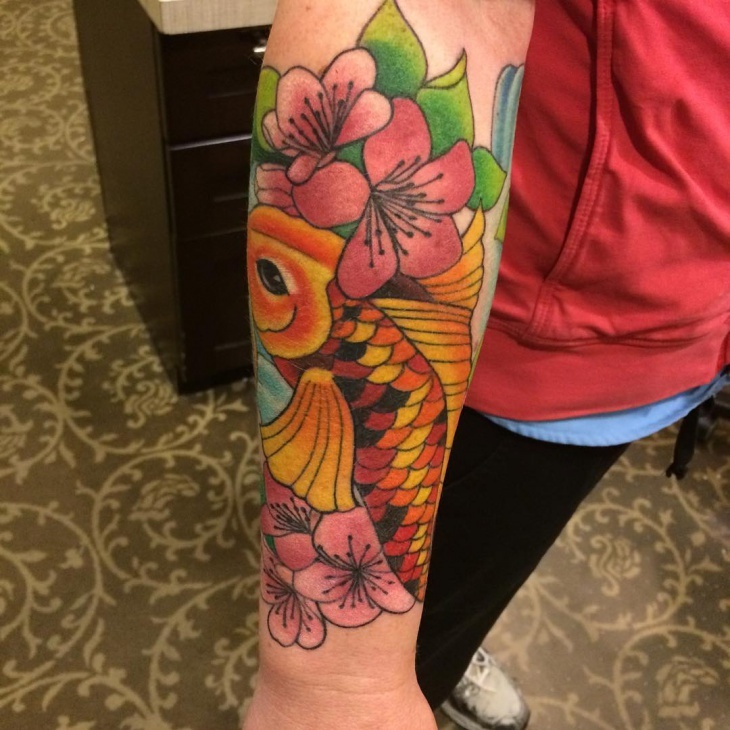 Koi fish tattoos often represent victory despite struggles. 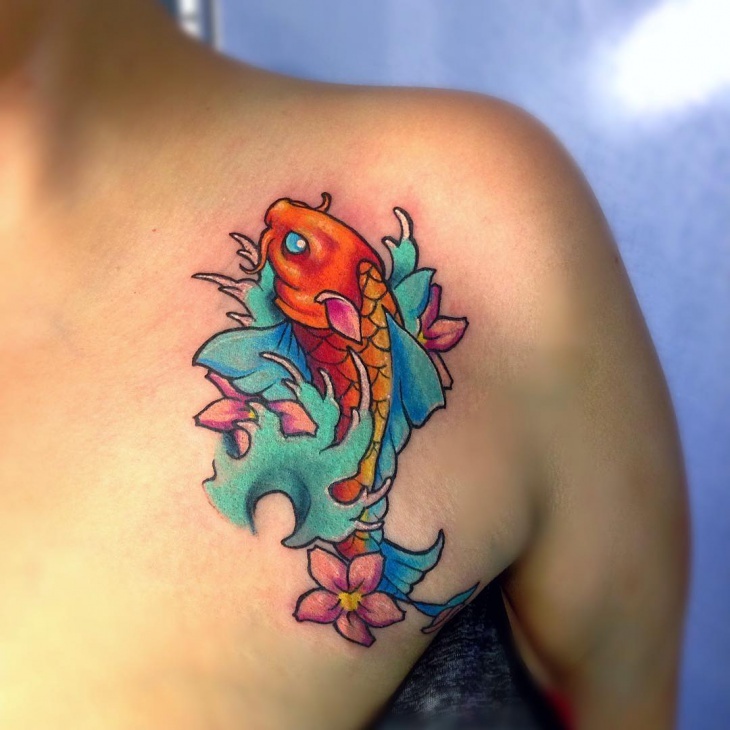 This tattoo design is for someone who is very independent with a powerful personal image. 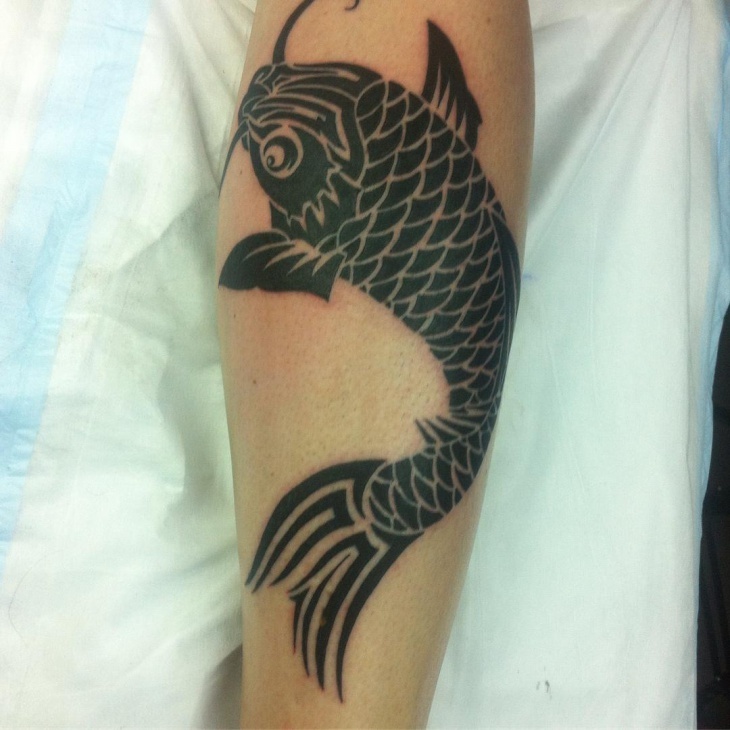 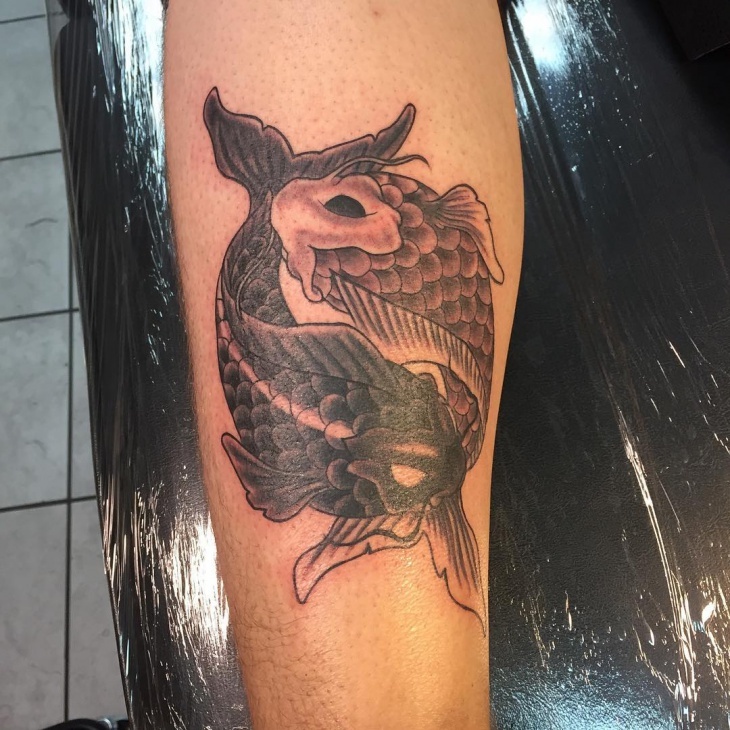 Koi fish designs are also popular in zodiac tattoos, more specially in Pisces tattoo designs. 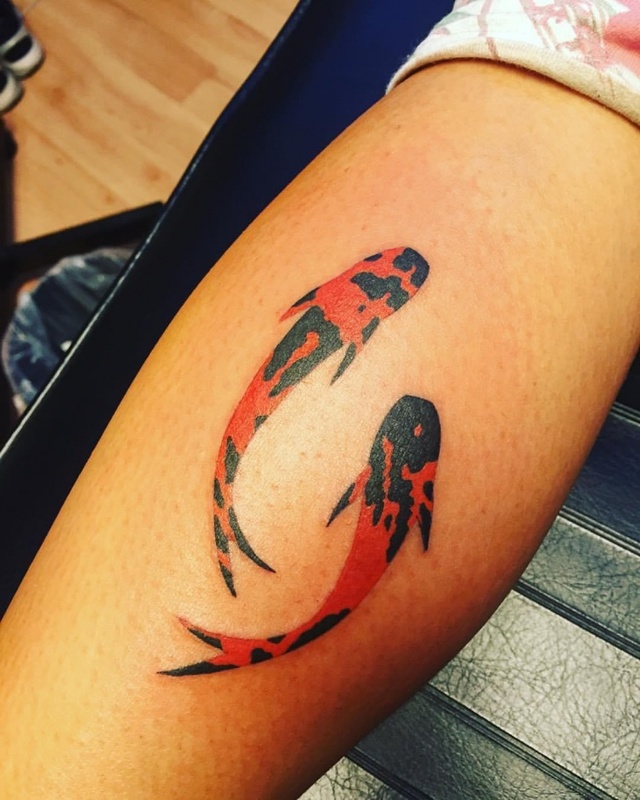 The Pisces symbol has 2 curved lines facing each other. 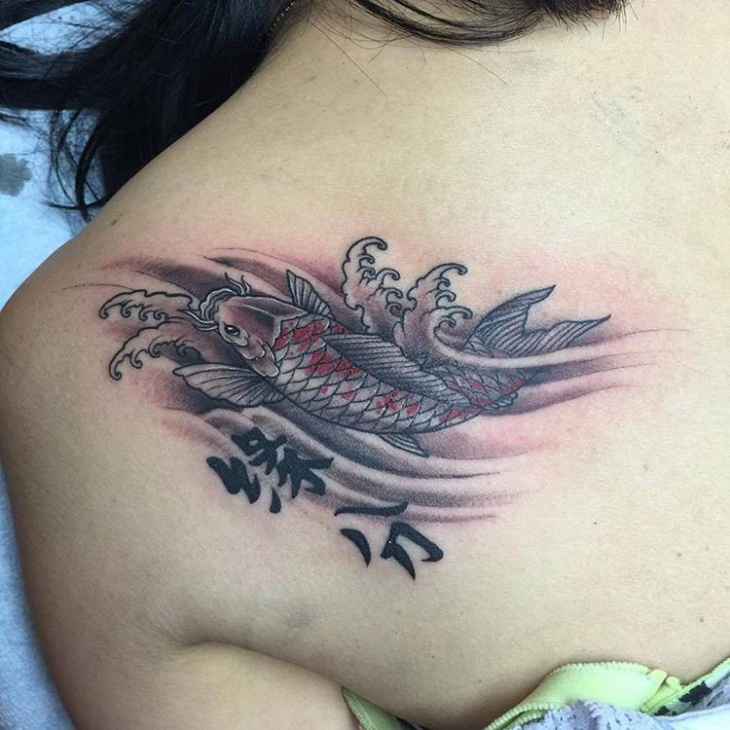 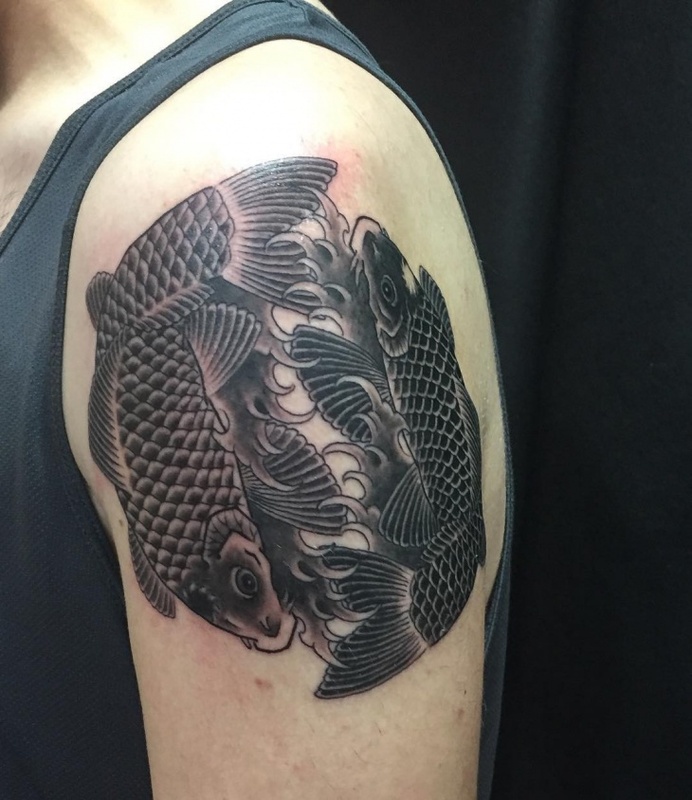 In Pisces tattoo designs, the curved lines are enhanced by 2 koi fish replacing the curved lines.